Pajaro Compass Now Has Website! 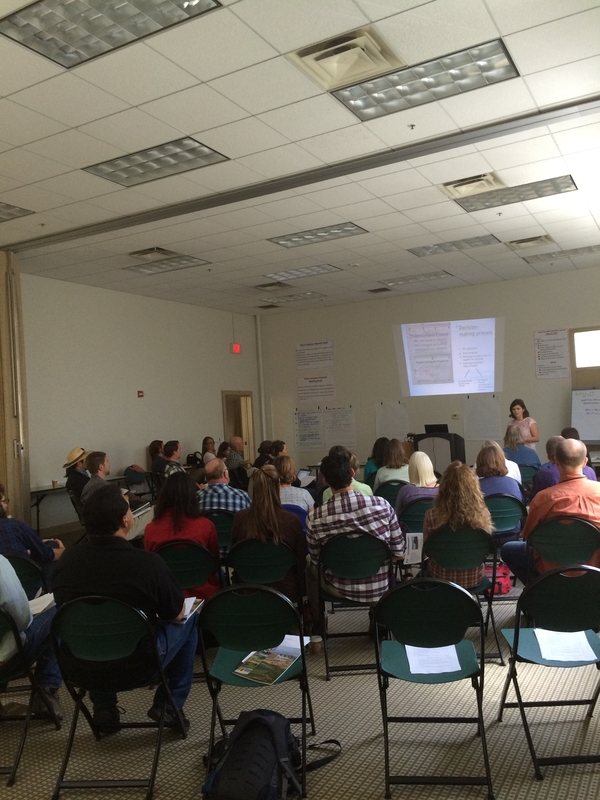 The Pajaro Compass Network was launched on June 23 at the Hollister Veterans Memorial Building. The Network is a group of agencies, non-profit organizations, and landowners who are interested in working together to enhance voluntary conservation throughout the Pajaro River watershed. The website and report have information about how the Compass was formed, the work they have been doing over the last year, and where they are headed. The web mapping tool was developed to be easy to use and can overlay water resources, agricultural resources, biodiversity resources, recreation, and other resources within the Pajaro River watershed to help with conservation planning. The USFWS Partners for Fish and Wildlife Program described their voluntary wildlife habitat improvement cost-share program for private lands. The Strategic Growth Council asked for input on location of the High Speed Rail station in Gilroy, focusing on issues related biodiversity, water resources, and agricultural themes. The High speed Rail Authority has mitigation funds and was interested in finding local properties on which to spend those funds. Pathways for Wildlife and Caltrans District 4 asked for input on developing and funding new wildlife studies using camera traps. The Santa Cruz Resource Conservation District (RCD) was interested in partnering with local landowners to identify needs and opportunities to support agriculture in the watershed. If you weren't able to make it this time, don't worry! There will be more project pitch sessions on October 26, 2016 and April 19, 2017 at the Hollister Veterans Memorial building. If any of these proposals piqued your interest or if you have an idea you want to pitch at the next meeting, you can email info@PajaroCompass.org. Anyone is welcome to be part of the Network.